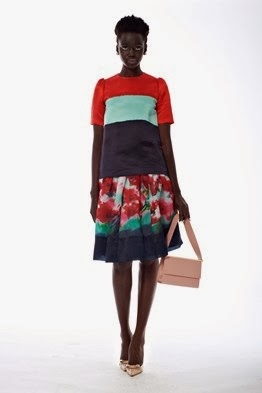 I love the Kate Spade Spring/ Summer 2014 collection and these are my favourite looks. In recent times I’ve become really obsessed with all things Kate Spade; it’s my dream to own a Kate Spade bag and a Kate Spade pair of shoes. I adore the fun and often quirky designs. The prints and colours are very happy. The silhouettes adds so much to the pieces. My favourites are the bright pink dress, the pink coat with the black trim and the white and yellow dress which is finished off with the overlaying yellow top. I’d happily wear each one of these pieces. It’s so beautiful.I know I’m fairly late posting these pictures but I was looking at them again recently and just thought I had to show them. It reminded me of how much I adored this set. 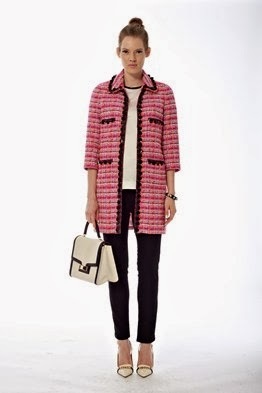 What do you think of the Kate Spade Spring/Summer 2014 Collection? I love this collection! 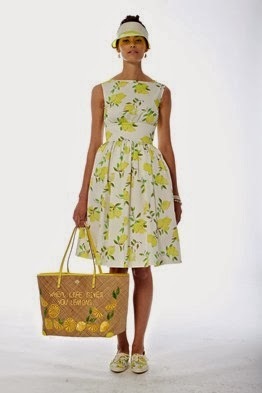 The white dress with the yellow floral print is my favourite. Wonderful collection ! Pink dress is fabulous ! Oh my!! That little red dress is so stunning! So beautiful! 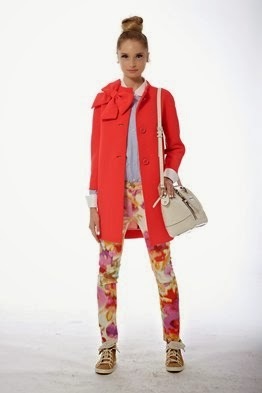 All of the items really look like your style, and I like them too, especially the last coat with the bow on the shoulder – but everything is very feminine/girly and pretty. 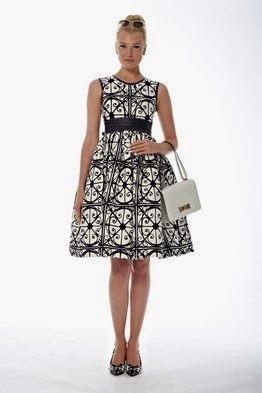 Can you tell me that different designs, sizes and colors are available in kate spade shoes? I need some long lasting as well as durable product without any wear and tear, I think that kate spade shoes are great choice for both men and women that’s why I want to purchase.